It has been just over a month since we arrived back to our home in Virginia. Wow! Everything moves so fast in the spring. We have been up to quite a lot since our arrival. 1) We got a new puppy dog. 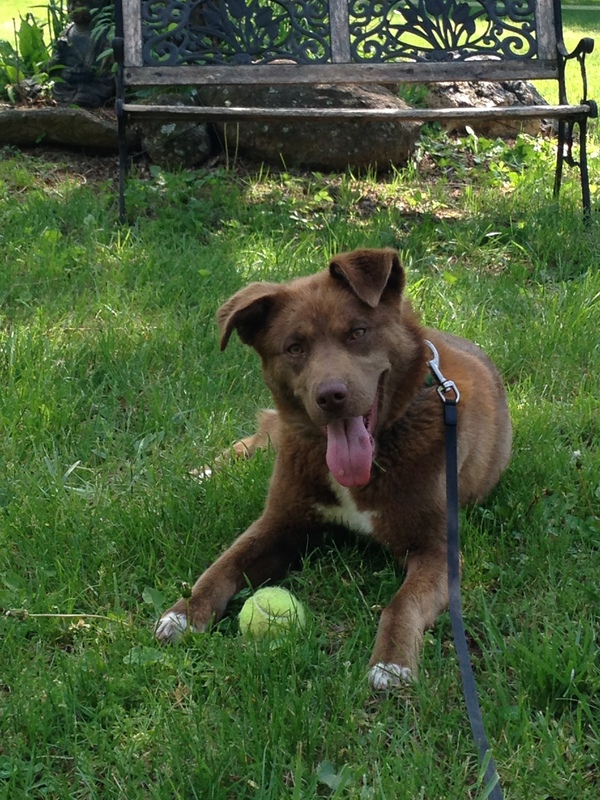 She is a mixed breed; aussie shepherd, chesapeake bay retriever, and who knows what else mix. Her name is Ara. 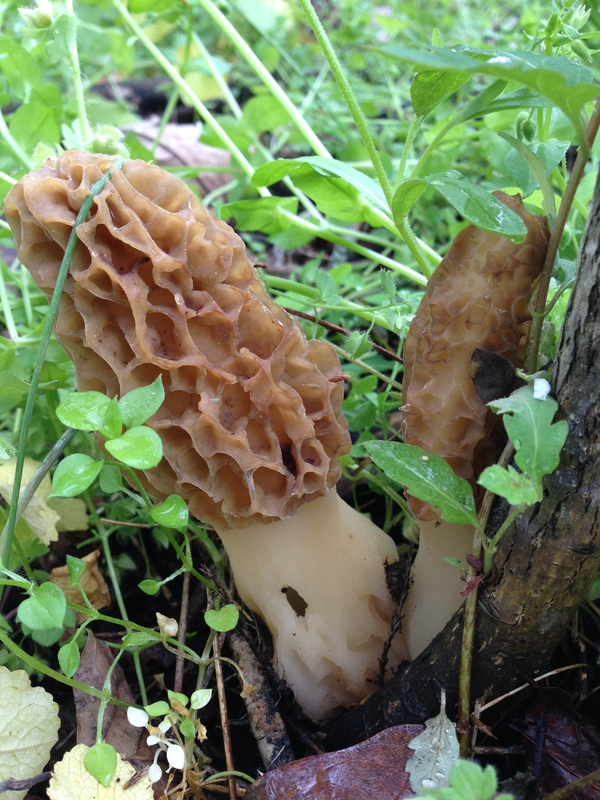 2) This year has been a bounty morel mushroom year in our area. 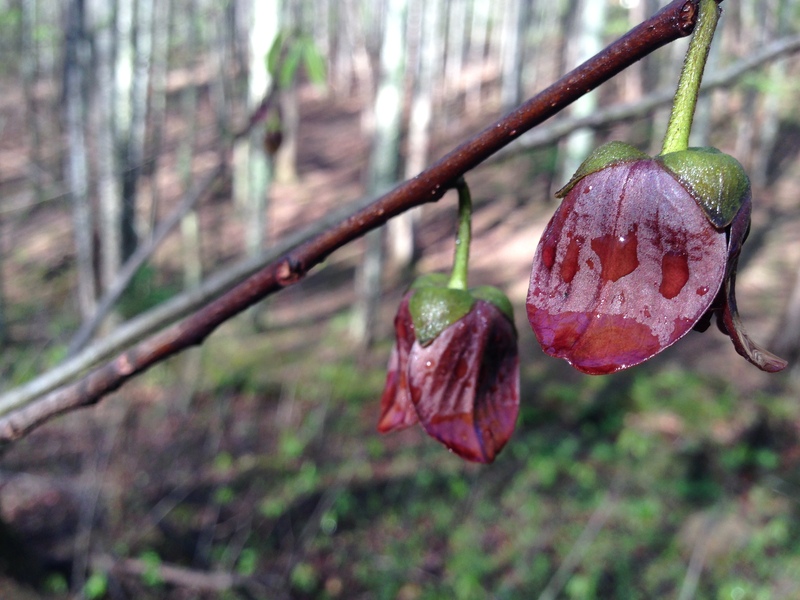 We found many in different locations, but it is the first year we have found some on our own farm. 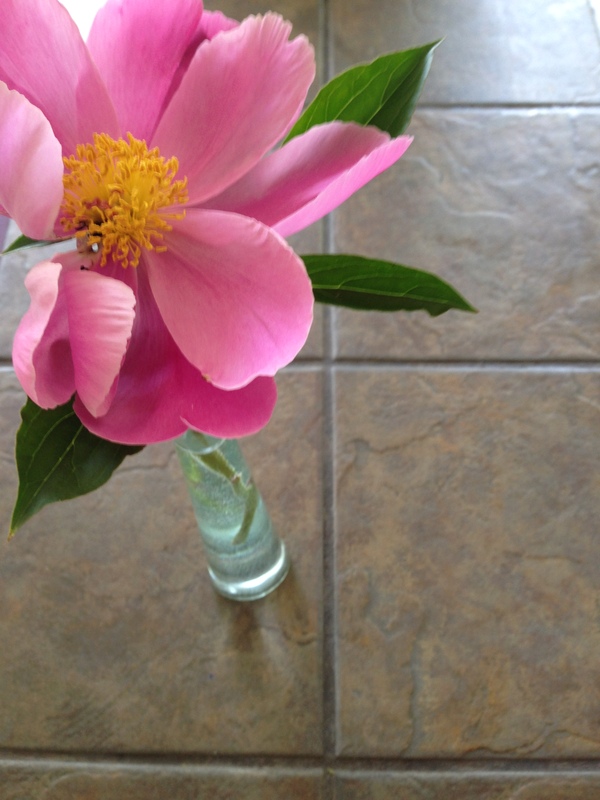 Here is a quick relaxed recipe. 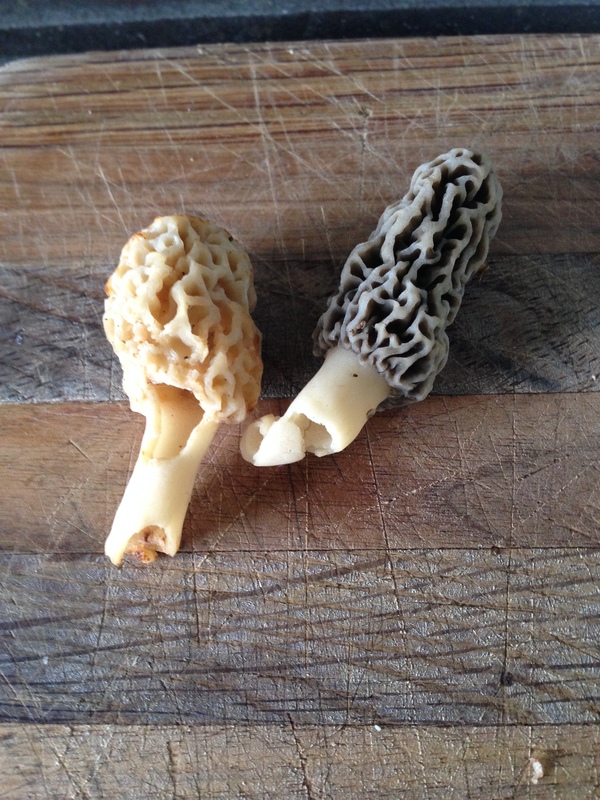 Soak morels in salt water for a couple minutes. Rinse thoroughly. Melt a bit of butter in a sautéing pan. In another pot, make spiral pasta. 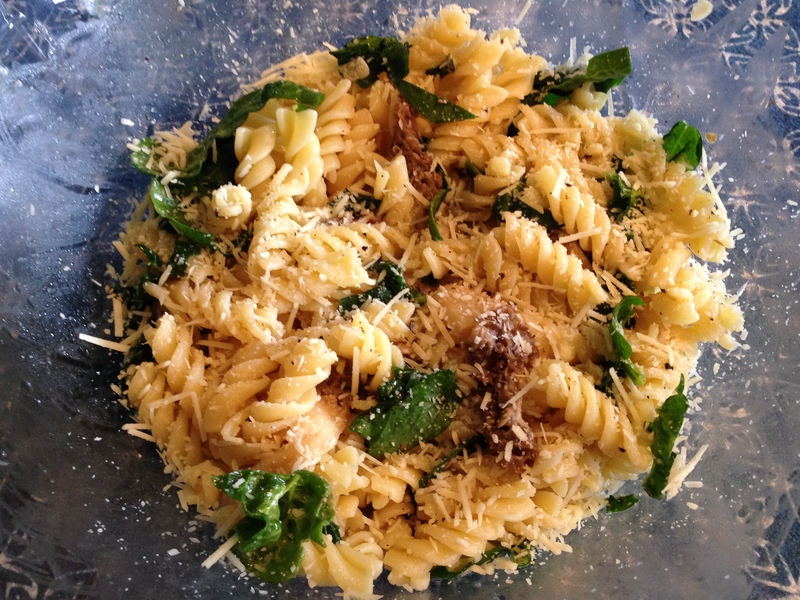 Mix the pasta with the morels. Add some fresh spinach, the heat from the pasta will make it nice and tender. add some parmesan cheese, salt and pepper to taste. 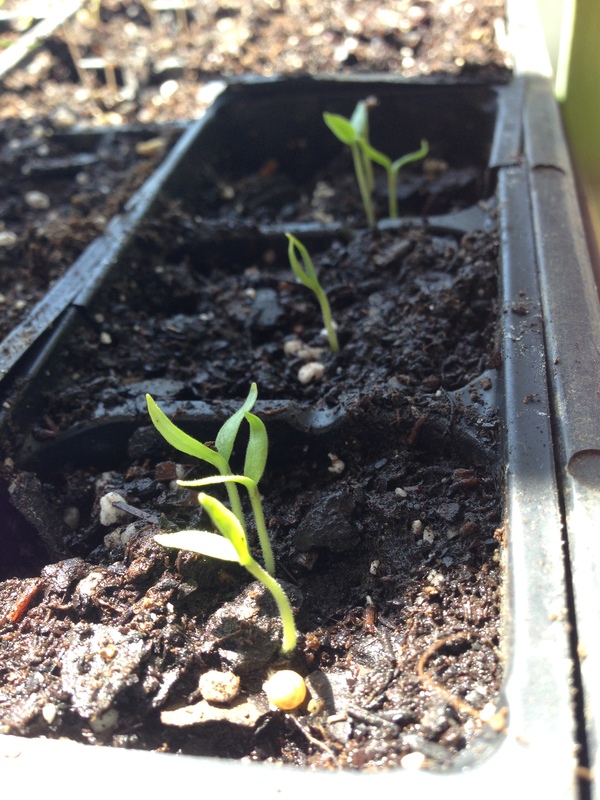 3) We have been planting tons. 4) Enjoying all the Spring flowers. 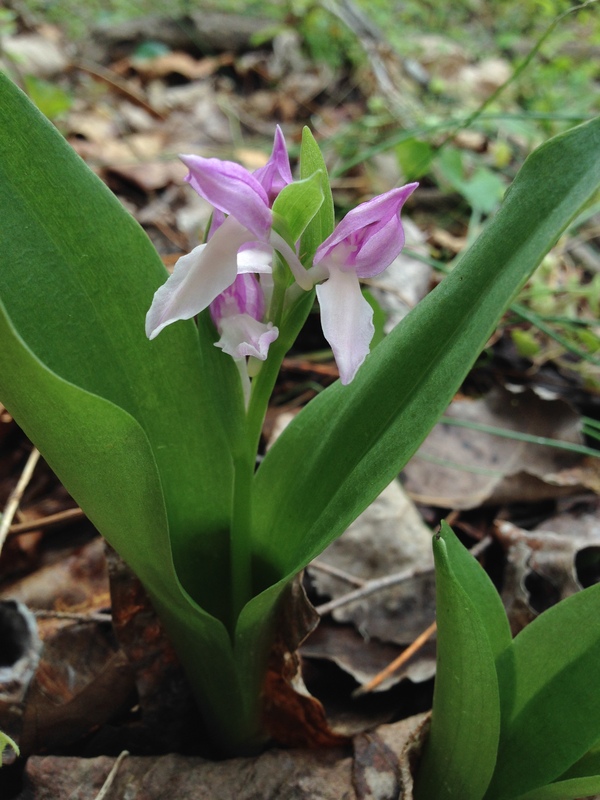 Spring flower in the woods.